Tablet Repair (Android) at Big Al's in Desoto offers professional tablet repair services to solve issues that you may encounter with your Android tablets. Below is the list of tablet repair services that we offer for different types of Android devices. Tablet Repair (iPad)Big Al's in Desoto offers a wide variety of tablet repair services to fix all types of Apple tablets. 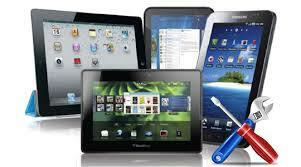 Listed below are some of the tablet repair services we offer to repair iPad,iPad 2, and iPad 3. Whether you are looking for help on tablet screen repair for your Android device or if you want assistance on tablet glass repair for your iPad, we offer the most dependable services to customer in Dallas, Desoto, Lancaster, Duncanville, Cedar Hill and surrounding areas. Contact Big Al's Cellular Repair for all your tablet repair needs.